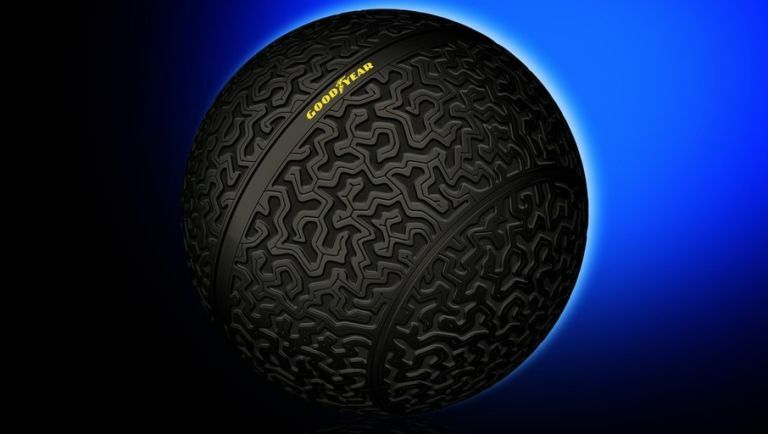 Goodyear, the long-standing American tyre manufacturer, has finally unveiled prototypes of a design that's been decades in the making - spherical tyres. The Eagle-360 is an incredible feat of engineering and could well be the tyre that carries us into the future of self-autonomous cars. And when we say 'future', we really mean it. This tyre is so advanced, engineers are still working out how exactly it's going to fit modern vehicular incarnations. The tyre itself is entirely 3D-printed (this is 2016, of course it's been 3D-printed) and uses magnetic fields to retain its position while accelerating and decelerating. Being future proofed, it's been created with self-driving cars in mind, offering 360-degrees of maneuverability. "By steadily reducing the driver interaction and intervention in self-driving vehicles, tyres will play an even more important role as the primary link to the road," says Joseph Zekoski, Goodyear's senior vice president and chief technical officer. "Goodyear's concept tyres play a dual role in that future both as creative platforms to push the boundaries of conventional thinking and testbeds for next-generation technologies." The Eagle-360 will use a process known as biomimicry, which will enable it to adapt to different weather conditions. Inspired by the natural behaviours of brain coral, the tyre will act like a sponge and could even provide aquaplaning resistance. The Eagle-360 will also have 'IntelliGrip', which comprises of sensors designed to sense varying road conditions and communicate that data back to the computer driving the autonomous vehicle. Such a radical design will certainly take a while to fit self-autonomous car design, but it's still a fascinating concept that's making science fiction into science fact.